30 Magazine named HTC Corp. and Apple Inc. Taiwan’s most used mobile brands in a survey released Tuesday, the Central News Agency reported. For the third consecutive year, HTC topped thehttp://wearegeeksnotnerds.com/wp-admin/post-new.php mobile phone category of the 30 Magazine Brand Survey of the Young Generation. 26.4 percent of respondents use the Taoyuan-based brand, according to the Central News Agency. Apple shared first place with HTC, as 26.4 percent of respondents to the survey indicated their preference for the iconic California-based brand, while Sony came in a close third at 24.3 percent. But Apple far outpaced HTC in the “Most Desired Mobile Phone Brands” category, placing first with 45.3 percent of respondents favoring it. HTC was a distant second at 15 percent and Sony was third at 14.6 percent. In the survey, 30 Magazine ranks the most used and most desired brands in 20 products and services in five main categories — 3C technology, lifestyle, food and beverage, entertainment and wealth management. The online survey was conducted together with the research firm Eastern Online Co., and carried out in March with the results based on 1,068 valid samples among people aged 25-34. The survey had a margin of error of plus or minus 3.0 percentage points and a 95 percent confidence level, according to the Central News Agency. CADR (clean air delivery rate) delineates the maximum square footage recommended in which to use the filter (a good baseline for choosing a room unit) and how quickly it can remove three types of pollutants: smoke (with a number ranging from 10 to 450), dust (10 to 400), and pollen (25 to 450). The higher the value, the faster — but not necessarily the more thoroughly — the machine filters the air. Home is our refuge. We always wish it to stand out and thus we even invest in the most high-quality and most expensive furniture, decorations and appliance. The house can be simply built with the best interiors, decoration and arrangement yet it’s challenging to maintain it. It could be able to sustain its attractiveness for a couple of years however at some point it’ll lose its appeal particularly if it’s not taken care thoroughly. It is the same with maintaining our appliances. Maintaining them doesn’t only involve cleaning and wiping the exteriors but it’s more than that. Discovering how to maintain them properly is significant to make sure that they’ll last for long and in addition make it sanitary for the household. 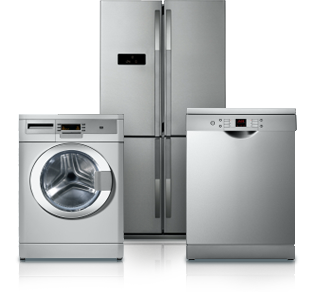 Not all the appliances we have, requires the same maintenance. The appliances we’ve got such as kitchen range, oven, refrigerators, washer, dishwasher and many more at home require distinct cleaning techniques so you should be extra careful in doing so. There are those who are just easy to clean but there are also those that are intricate. a) Fridges – In cleaning refrigerators, make sure to unplug first then shut off the knob, remove all kinds of things within then start off cleansing the racks and shelves. It is possible to remove the racks and clean them with water and soap similar to cleaning up dishes. In cleaning the interiors of the refrigerator utilize a sponge or soft cloth and carefully get rid of all dirt. b) Washer or dryer – Make use of soap and water in cleansing the outside surface of the appliance and make use of a damp cloth to clean and take away dirt inside. c) Microwave – You’ll find 4 solutions to clean your microwave. You can consider a vinegar, lemon, dishwasher and baking soda mixture. Simply put any mixture within the microwave and allow it to cook for 3-5 minutes and don’t open the microwave yet after time is up. d) Dishwasher – the trick to maintain a dishwasher is by using it routinely so you don’t have to cleanse it constantly. Once a week, check out inside the dishwasher and make sure that there is no debris or dirt that could clog the holes and avoid the water from running freely. Additionally you can make use of a cloth to clean up the exterior surface and the sides. e) TV or computer – Use a paper towel or soft cloth to completely clean the surface and ensure that to unplug before cleaning. For plasma TV, be sure to use a soft cloth. f) Kitchen range – Baking soda is ideal for stuck on food particles in your kitchen range. Just be sure to wipe the mixture gently with soft cloth. Overall, you must take the time to clean and check your appliance to know their condition and carry out immediate repair when required. Maintaining is not only to ensure they will last for very long but it is a great way of ensuring the health and safety of your family. Spend some time to look at the manual for guide and do not attempt to fix it if you’re not familiar with its components. At the end of day, you are going to reap all the work you have done in maintaining your appliance. Some tech companies want to add extra serenity to your life with some pretty nifty home security gadgets to help you feel secure whether you’re away or at home. Because no one wants a terrifying “the call is coming from inside the house” moment. Dropcam is a cloud-based Wi-Fi video monitoring service with free live streaming, two-way talk, and remote viewing that makes it easy to stay connected with places, people, kids, trouble-making teens, and pets, no matter where you are. The Dropcam device will send you a push notification if it senses motion, prompting you to check-in on the live video stream via your mobile device (day or night). Moreover, if you are away and you have to leave the cat at home, you can talk to your kitty by Dropcam’s two-way microphone. You don’t need any keys or codes to come and go from you apartment. The August Smart Lock gives you secure access to your home. Simply install the cylinder on the interior side of your door by removing your thumb latch and attaching your smart lock to the deadbolt. When you’re nearby, it will communicate to your smartphone to lock and/or unlock the door. Nowhere near home? You can also unlock your door for guests via a virtual key — perfect for your dog walker! Some kitchen gadgets remain state-of-the-art for decades—there’s no improving on the rice cooker, for instance. Yet others are continually updated with smaller proportions, and so many bells and whistles that they’ll do everything but the dishes. To compile our list of the best budget-friendly cooking tools we combed through the classics, the brand new, and the new-and-improved. 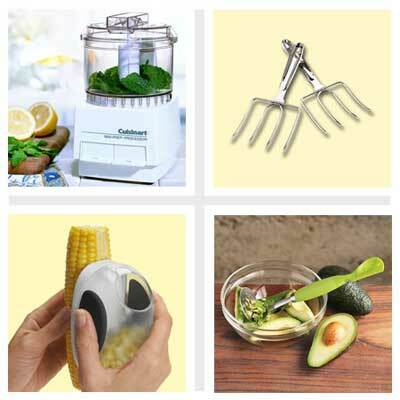 If you don’t already have these kitchen essentials, you’ll wonder how you ever survived without them! Use a coffee grinder to freshly grind spices and achieve more flavor in your dishes. The Braun Coffee Grinder is an affordable way to concoct your own spice blends, control the texture of the grains, and just make less mess. About $145.